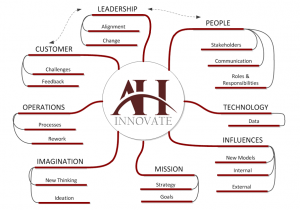 The following AH Consulting service offerings are adapted and scaled to deliver the best value for clients. Relevant coaching is built into all engagements. 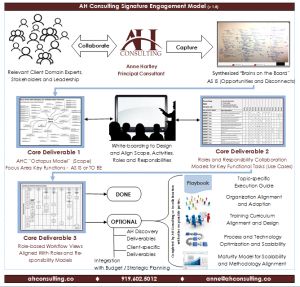 All Services begin with AH Consulting’s signature engagement for specified Focus Area(s). 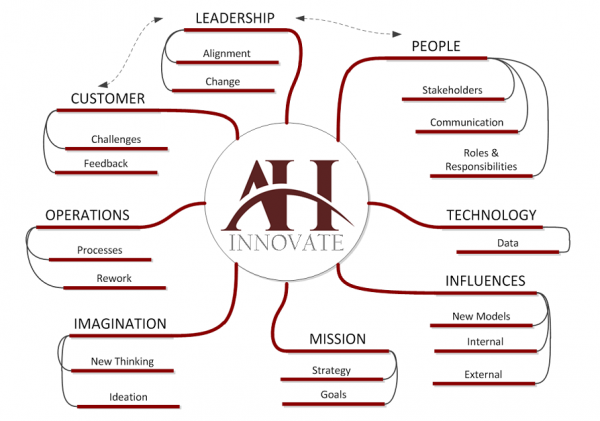 Following a sprint model with AH Consulting’s unique technique for quick value delivery, one Focus Area can be completed in as little as 3 weeks. These core deliverables provide a clear and shared understanding of Focus Area context (“what”) at the right level of detail to make them immediately beneficial as path forward guides. They may also serve to inform additional service delivery work and internal initiatives. Another by-product of this engagement is identifying opportunities to ameliorate disconnects and dysfunction. Client may choose to stop at this point or decide to continue building upon core engagement deliverables to encompass additional scope. Designed for evolving startups who are ready to transition from “startup mode of operation” to a rationalized operating model to scale their business – starting by addressing Early-Stage Barriers. 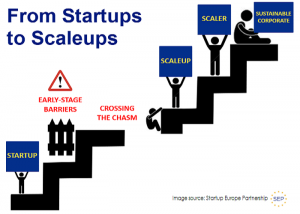 First a note about what “scalability” means. It means flexibility and that as you bring on more customers the acquisition and operational cost goes down – thereby creating greater profit margins. It is not just a function of bringing on more customers. This requires creating an efficient, well-oiled operation with aligned training and onboarding – with an eye on continuous improvement. 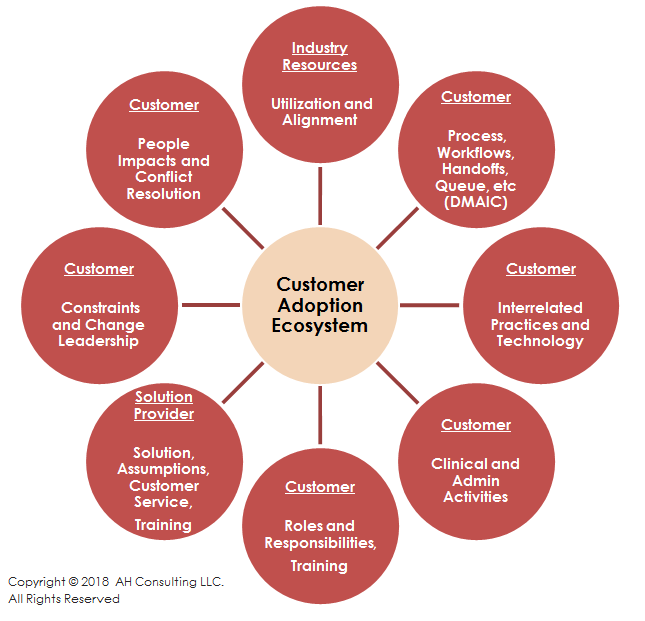 Our approach encompasses leadership alignment, resolving bottlenecks, assessing processes and practices, and developing operational scalability frameworks that evolve to grow the company and customers. 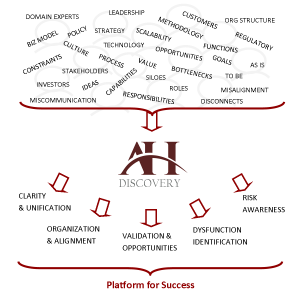 AH Discovery engagement collaborates with client representative(s) to establish shared understanding and validation of what is believed to be true of current state with sufficient detail to identify risks, disconnects and opportunities. 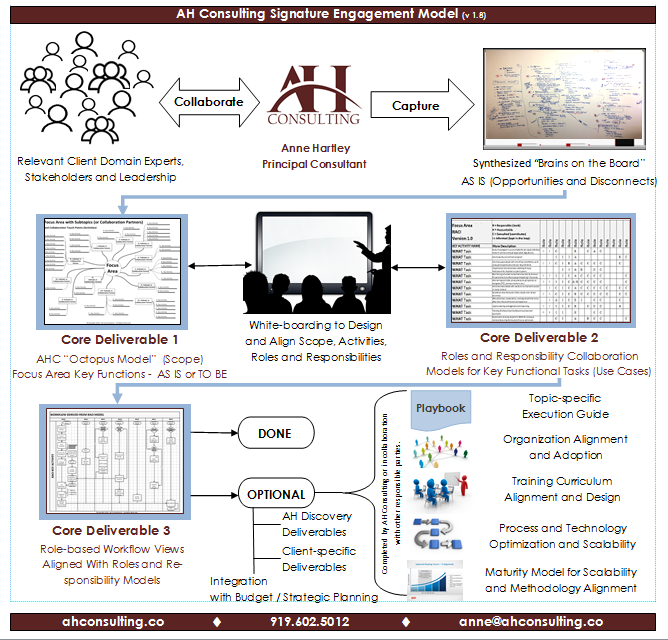 Sprints begin with Signature Engagement activities and Core Deliverable as baseline. Client-specific deliverables may be added if needed. 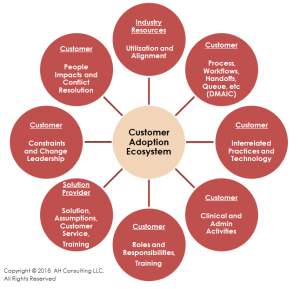 Encompasses creating new practices or overhauling existing one(s) with coaching and adoption orchestration. Realigns Project Management Office (“PMO”) with value delivery over project delivery. 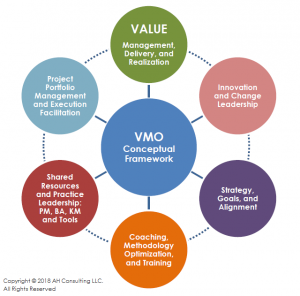 While projects are the means by which value is typically delivered. One can deliver a perfect project where the intended value is never achieved. 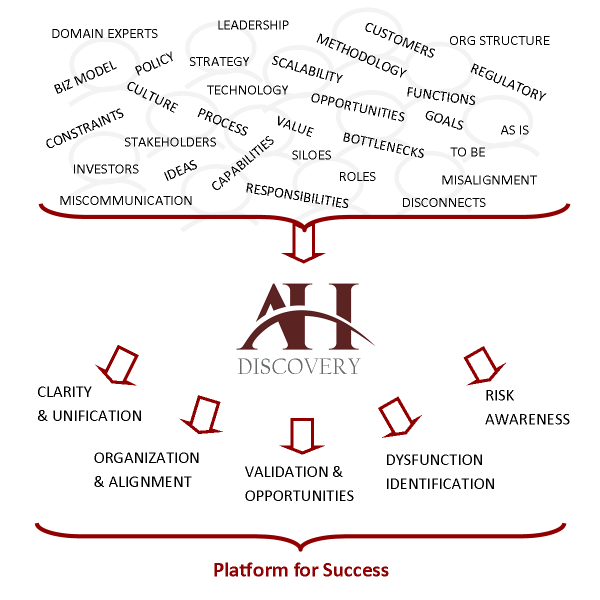 Defines with Client and delivers a specific set of services that may be a derivative of the Services offered or unique for Client drawing upon AH Consulting’s Resources and Core Competences.